In his early twenties George Hall worked in the Seychelles as an accountant at a hotel, where he met and fell in love with Veronique, his maid. Shortly after there’s a coup and George is bundled onto a plane back to England as an undesirable. Thirty years later and George, his wife Angela, and daughter Lucy have travelled to the islands for a holiday. George and Angela are keen to revisit his old hotel and they’re hoping their daughter will be able to get over her recent break-up to her two-timing financé. However, shortly after arriving it seems that someone is trying to kill Lucy and Angela is abducted. The police seem little interested, George is in a daze, and Lucy decides to try and solve the mystery and rescue her mother. 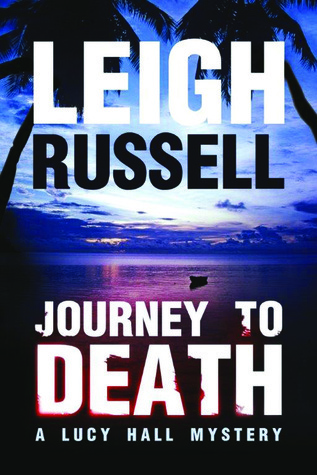 I thought I’d give Journey to Death a read since it was a mystery set in the Seychelles and I fancied a virtual visit. However, beyond the prologue and descriptions of tourist settings, the reader doesn’t really get a good sense of the place and its history and people; instead it acts merely as a backdrop. Moreover, the mystery itself is quite weak and much of the plot seemed inexplicable – the choices the Halls make, the security in the hotel and the actions of its staff with regards evidence, and the island’s policing given events. Despite the deeply troubling events - her mother abducted, a handful of attempts on Lucy’s life, a related murder - no-one seems to very troubled, let alone does anything substantial. 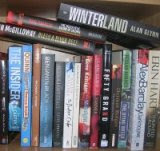 What keeps the reader hooked is discovering who is attacking the family and Russell’s pacy and breezy writing. Overall, an okay read that lacked depth and realism. Being I loved Leigh Russell's Ian Peterson and Geraldine Steel series I had my doubts about a new series with someone called Lucy Hall, not even a detective! But I was pleasantly surprised, this book is certainly as good as Leigh's former work. I enjoyed it from beginning to end and can certainly recommend it. Looking forward to the next one in the new series. Keep them coming Leigh Russell! I'm glad you enjoyed it. I might try her other books, but this one had too many thin plot devices in it for me and the sense of place was lacking.